VIDEO: A Saint for Scotland? Part 1- Who is Mother Angeline Teresa? Interview with Very Rev. Mario Esposito, O.Carm. 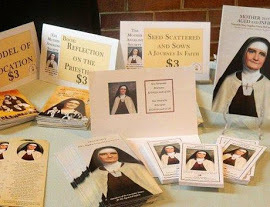 The Mother Angeline Society is dedicated to promoting the Cause for Beatification and Canonization of Venerable Mary Angeline Teresa, O.Carm. (nee Bridget Teresa McCrory) Foundress of the Carmelite Sisters for the Aged and Infirm and advancing her charism in the Church. In 1989, the Most Reverend Howard J. Hubbard, Bishop of Albany, New York approved the petition of the General Council of the Carmelite Sisters for the Aged and Infirm to introduce the Cause of our Foundress on the diocesan level. At the same time, the Carmelite Sisters formed The Teresian Society, now known as The Mother Angeline Society, in order to make Mother’s Charism and Cause for her beatification and canonization more widely known in the Church.Father Eugene Robitaille, SCC, was the First Promoter of Mother Angeline’s Cause. Father Jude Mead, C.P. was the First Postulator. The Very Rev. Mario Esposito, O.Carm. is the current Vice-Postulator who continues to guide the works of the Society. The Mother Angeline Teresa Society currently numbers over three thousand members.